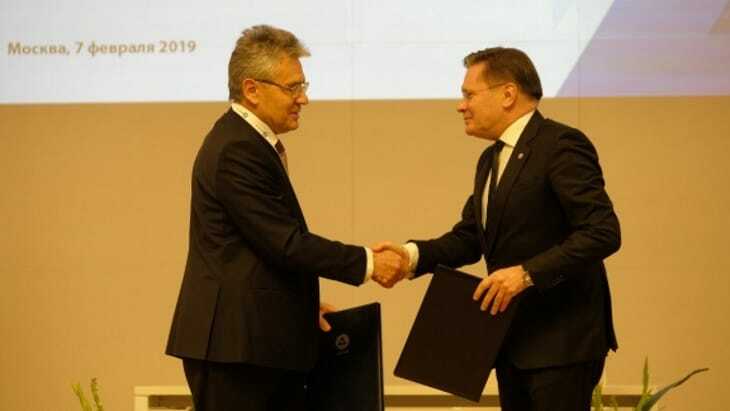 MOSCOW - Russian state atomic energy corporation Rosatom and the Russian State Academy of Sciences are to cooperate on joint scientific, technical and innovative activities in areas including nuclear energy, nuclear medicine and other areas under an agreement signed in Moscow on 7 February. Likhachov said joint activities between Rosatom and the Academy would strengthen the Russian nuclear industry's "leadership" in the world and allow the creation of new technologies that would shape the future image of the nuclear industry in Russia. "Within the framework of the Agreement, we intend to expand work on the entire spectrum of advanced scientific research. The most important direction of our cooperation will be the integration of fundamental, exploratory and applied scientific research, including in the interests of the development of the nuclear industry. We will work together to form the nuclear energy industry of the future, to create new materials, new radiation technologies,” he said.